Presenter: Britta Gribsholt, Loligo® Systems, Denmark. Schedule: Friday 29th August 10:20-10:40. Dorskampzaal. LoliTrack is easy-to-use Windows software for behavior analysis of multiple or individual animals based on contrast, e.g. no markers are needed. It offers unique features like tracking identical looking animals in groups, schools or swarms and analyzing the individual behavior. In this demonstration we show how fast and easy it is to import and analyze a video with several identical looking animals and obtain detailed behavioral parameter values using LoliTrack. 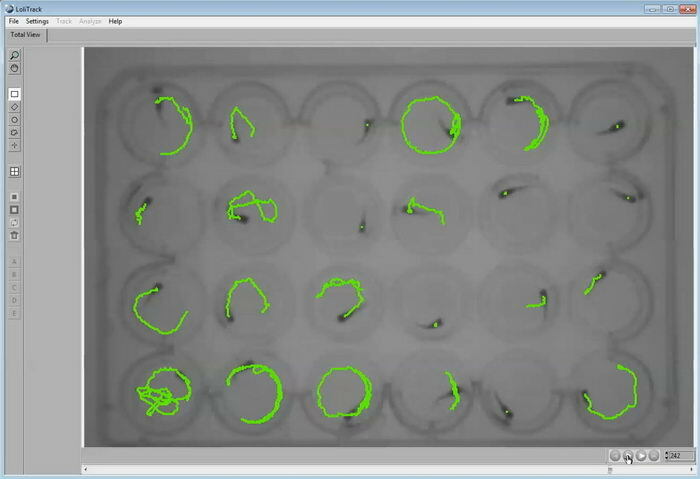 We also show examples of how to use LoliTrack for tracking focal animals in standard cages, mazes etc. The tracking operates on the principle of contrast (color or b/w), i.e. the object(s) to be tracked is placed against a contrasting background and the software assigns a x, y coordinate pair to the centroid of each object. 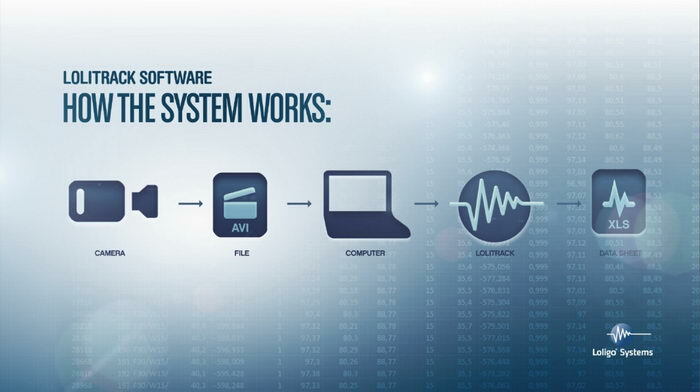 The software analyses any .avi and export data to Excel, allowing scientists to use any camera system to record digital video files (.avi) and their own PC for automated tracking and analysis of behavior. LoliTrack allows you to analyze the behavior of up to 24 animals in one common arena, even with crossing animal trajectories. 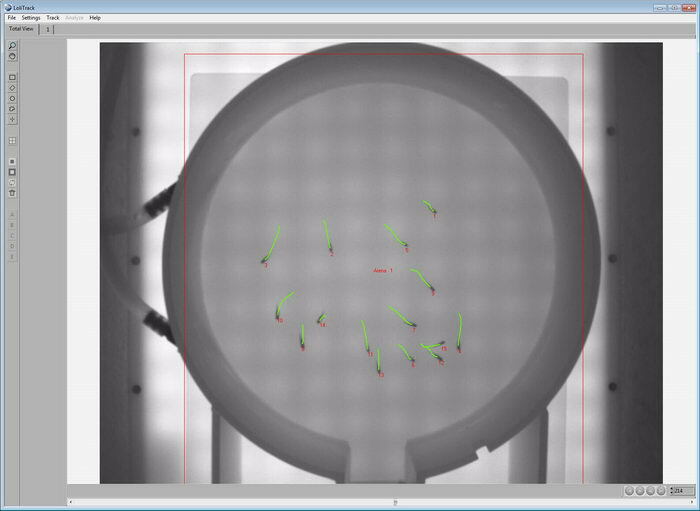 It also allows you to analyze single individuals in up to 24 arenas such as micro plates, simultaneously. 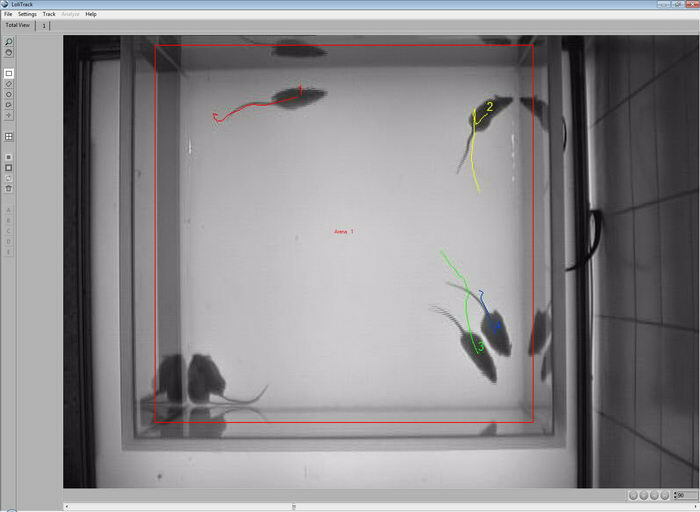 Typical applications include behavioral phenotyping in Zebrafish (micro plates), rodent assays (maze, open field), social behavior research of fish schools, insect swarms or group of animals, and basic locomotory behavior tracking of anything from micro-organisms to large adult animals (home cages, aquariums etc).